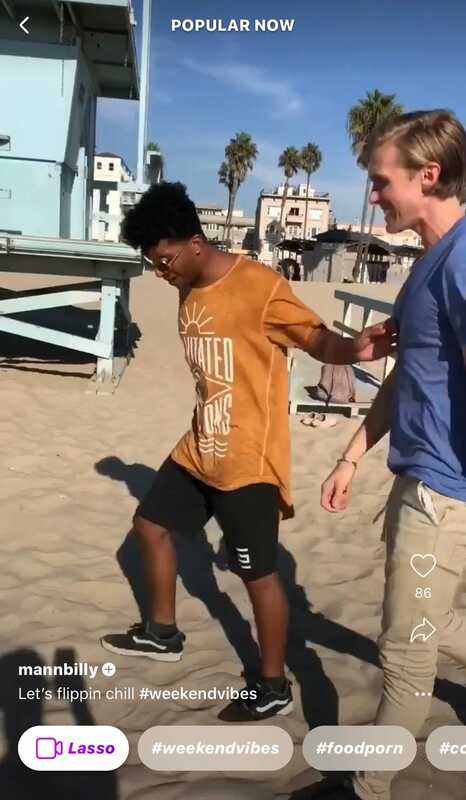 With seemingly little fanfare, Facebook has launched its new app Lasso, a standalone short-form video platform that’s been billed as a competitor to TikTok. According to TechCrunch, the app is Facebook’s attempt at winning over its dwindling demographic of teens. Users can log in with either Facebook or Instagram, which the company said will help it tailor the in-app experience to users’ interests over time. Lasso’s creative tools include the ability to adjust speed or add music, and its catalog includes millions of licensed songs. The app currently allows users to cross-post their videos to Stories on Facebook, and the company said it would soon allow users to share their Lasso videos to Instagram Stories as well. It’s worth noting that all profiles and videos on the platform are public. As the Verge noted, Pew Research data published earlier this year showed that approximately half of teens ages 13 to 17 in the United States reported using Facebook, down from the 71 percent that reported using the social media platform during Pew’s 2014-2015 survey. YouTube was the preferred platform of choice for teens, according to its recent data, with Instagram and Snapchat trailing behind. It is curious that Facebook seemingly made little noise about Lasso prior to its launch. The company said it is “starting small” and plans to collect feedback from users and its creators.